It's hard to believe we've been doing this blog for two years now. We were brought together by our agents with the idea of doing a group blog, but the Lord was certainly in the details. We couldn't be more compatible, yet we each bring something different to Novel Matters. Over the past two years you've gotten to know us. You've learned something about our writing styles, our methods, preferences, and quirks. But it's been a delight for us to get to know you too. Many of your names and faces are familiar to us, and we look forward to your comments. Your contributions to the dialogue here are invaluable. But we'd like to know you even better. Those who are writers, we have some questions for you. What are your writing habits? Morning, mid-day, night? Do you set a word goal when you sit down to write, or just do what you can for that session? What do you write? Fiction, non-fiction, short stories, novels, articles, devotions, etc? Do you have a critique partner? A writers' group? Have you been to a writers' conference? If so, what was your experience? If you're published, share a little how you got there. If you're not yet published, what most encourages you to keep going? Where do you hope to be in your writing journey a year from now? And those who are readers, we'd like to know more about you too. As a reader of fiction, what's your favorite genre(s)? How do you select the books you read? Have you ever thought about writing? If so, what keeps you from starting? Do you purchase books, borrow them, share them with others? What brings you to NovelMatters? What kind of book do you think that is written from a Christian point of view is most likely to have an impact on a nonbeliever? We look forward to another year of talking about the world of writing -- and really, it is another world. An amazing, exhilarating, angst-filled, rewarding world. If there are topics you'd like us to delve into next year, please share. And thank you for being a part of this community we call Novel Matters. 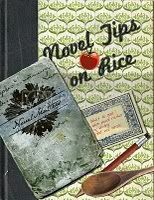 And if you missed our Novel Tips on Rice recipe book on Friday, scroll down to Friday's post and download it as our gift to you. You'll love it. Congrats on the 2-year mark! Blogs are lots of work, but rewarding. I love the dialoguing between writers/editors/agents on blogs that helps me learn and stimulate my mind to ponder different things. And sometimes it just kicks something loose in your writing, ya know? 1.What are your writing habits? Ideal time: morning. But in truth, has been all over the map. More important for me than time of day though is learning from my mistakes finishing my 1st manuscript. That is, finish the first draft in a defined period of time, do not drag it out over years. It is not beneficial for many reasons. Using word count goals is the plan for 2011. 2.What do you write? Historical Fiction. Would LOVE, LOVE, LOVE to write historical non-fition, but that would take an even greater exactitude than fiction nor do I have the time or money it would require. I thank God for the many people who have authored non-fic works that have been invaluable to me in my own research (being a total history geek, I practically salivate when I get my hands on a new source of info). 3.Do you have a critique partner? A writers' group? Evolved over time. Still have a local in-person group I've run for 6 years (much greater longevity then my experience with internet based) and have been aided by oh so many people, online and off. But have reached a point where I'll want to keep it to a few trusted readers. 4.Have you been to a writers' conference? If so, what was your experience? 1st conference: Glorieta in 2004. Awesome. Jack Cavanaugh did an intensive workshop overviewing writing a novel---excellent framework which has benefited me to this day. 2nd Conference: Western Writers of America (2008). Not quite like a regular writers conference. I felt a little awkward there but I loved being among all the "westernness". Last conference: ACFW 2008. This time it wasn't the classes that had the value (not that I don't have much to learn) but the agent/editor appts I had, what I learned from them and the mistakes I made. 6.If you're not yet published, what most encourages you to keep going? 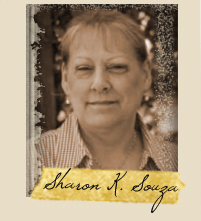 The goal of writing a series of historicals set in Arizona. The goal of writing a "big" book---as in epic. Hard to define, but I'll know it when I accomplish it. Don't know how many manuscripts it will take to nail it. 7.Where do you hope to be in your writing journey a year from now? Holding in my hands another first draft manuscript (this is the absolute goal), 2 first draft manuscripts would be icing on the cake). Took me 6 years to write my 1st manuscript. I'd like to cut that down to 2 years, starting in 2011. 1. What are your writing habits? The unofficial plan is to write for clients from 9 am til noon and then on fiction from lunch until 3 pm when my kids get home. 2. What do you write? Fiction, non-fiction, short stories, novels, articles, devotions, etc? Fiction about dysfunctional families, messy faith, identity, and forgiveness. I write short stories as well as novels (four so far.) I write essays that I don't share and articles for clients. 3. Do you have a critique partner? A writers' group? I am blessed with a wonderful group of beta readers and meanies. My Dayton Muses spend time with me in person, helping me improve. My Glitter Girls in Atlanta, read all year long for me and are excellent critiquers. And the same six girls I wrote stories for in middle school and high school (who paid me 5 cents per page), still read my writing. 4. Have you been to a writers' conference? My first and always conference is Calvin's Festival of Faith and Writing conference. Amazing and worth every penny! I also really enjoy Erma Bombeck's conference (often the same weekend as Calvin's.) I try to go to 1-2 each year. 5. If you're published, share a little how you got there. I have short stories published but no books (yet.) I have a 50% success rate. I have been published three times after having submitted six times. But getting myself to submit something is a Herculean task. 7. Where do you hope to be in your writing journey a year from now? I hope to have worked up the nerve to submit a proposal to an agent, which means completing something to my satisfaction. Herculean indeed. Can't wait to see the response! Congratulations on two years! As BK said blogs are demanding critters, and you all have maintained yours with admirable consistency--as well as with first rate content. Thank you! 1.What are your writing habits? I write from 9am to whenever I feel I'm done, or something else intrudes. Usually that's at least noon, but could be as late as 4pm. No word count goal, more a story/plot/scene goal. If that's 500 words, fine. If that's 2000... well that's a long day's work but I sometimes push on through. 2.I write historical fiction, novel length. 3. Do you have a critique partner? A writers' group? Not currently. I've had both in the past. Hope to have a crit partner again before too long. I like the energy of it. And of course the fresh eyes. 4. Have you been to a writers' conference? Many. Almost all of them I felt were worthwhile. My favorite is Mount Hermon. 6. If you're not yet published, what most encourages you to keep going? Love. 7. Where do you hope to be in your writing journey a year from now? I'd like to be contracted a year from now, if that's where God wants me. Congratulations on your milestone! I've gotten worlds of insight from your blog. 1. I run my own business, so writing happens when my other work is done. Sometimes I get time in the late afternoon, but more often it's nights, weekends, or during vacations. I do what I can. 2. 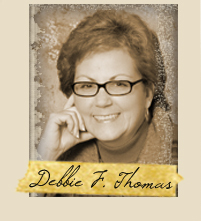 I write historical fiction, mostly, though I am a regular contributor to a homeschooling magazine. 3. 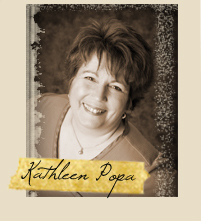 I have five critique partners I acquired through ACFW and one I met during an online course. In addition, a group of local writers meets monthly. 4. Yes! Some of the best money I ever spent! Conferences are an excellent way to kick start your creative enthusiasm and meet people you need to know. 5. Aaaaalmost, but not quite. As a reader, I read mostly what I write--historical fiction. I'm particularly fond of the classics, since I'd like to write something enduring. I buy many books from local bookstores and get ebooks from Amazon. In addition, our town has two wonderful used book stores that are always full of surprises. Your last question intrigued me most. Neither Dickens' Christmas Carol nor Lewis' Chronicles of Narnia were written as "Christian" books, yet they convey a strong message with real staying power. It would be impossible to separate the message from the story because the writers had a strong Christian worldview that shines clearly through the words, yet they are not preachy or offensive. The stories have value for nonbelievers, yet, but also exhort people who have a cultural church background but weak faith. THAT'S what I want to learn to write! I'm so sorry...I have NO idea why my post showed up in triplicate! 1.What are your writing habits? Morning, mid-day, night? Do you set a word goal when you sit down to write, or just do what you can for that session? Right now it's whenever I can grab a few minutes, but I want to try and get on a schedule where I do most of it in the morning. I don't set word goals; I just try to write a section, a scene, a chapter, whatever I can get. 2.What do you write? Fiction, non-fiction, short stories, novels, articles, devotions, etc? 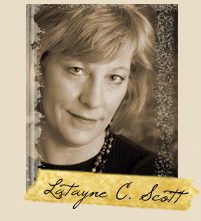 Fiction, mainly historical fiction - both short stories and novels. 3.Do you have a critique partner? A writers' group? 4.Have you been to a writers' conference? 5.If you're published, share a little how you got there. Only published work so far is a short story that placed in a contest (just got the results this past weekend!). 6.If you're not yet published, what most encourages you to keep going? Mainly the fact that I just love my writing. I love the experience of creating characters and plots, and I'm content right now to keep improving my skills and hope I'll be able to find a place for my stories sometime in the future. 7.Where do you hope to be in your writing journey a year from now? I'd love to publish some more short stories. And I'd like to accomplish a solid re-working of the novel draft I finished in November. Great question. I love hearing what other writers are doing and how they do it. Here's my contribution. 1. Writing habits - morning is best, although it's a take-the-opportunity-when-it-comes situation right now. And, despite the study and the three computers in the house, I get the most creative sprawled on my bed in the sunshine with an exercise book. 2. What do I write? I write regular articles for a local radio station ezine, and am putting together some article proposals for national magazines to be sent in the new year. I have a couple of Pretentious Literary Fiction novels somewhere in the back of a cupboard that may never see the light of day again, and I'm working on honing my synopsis before I start draft 3 on a memoir. 3. Critique partner/writer's group: Not yet, although I've just recently heard about an existing group through the local writer's centre that I'd like to join next year. 4. Writer's conference: Not yet. Will be attending my first (along with my first overseas trip!) next year. This is the fist year I've been committed enough to the business side of writing to justify the expense. 5. No books published. Articles published because the mag needed someone to write things for them and I was available...God opens doors! 6. What encourages me to keep going? Knowing that God opens doors, and knowing that I'm being obedient to His call on my life. I prefer mornings but sometimes don't manage to get to the computer till afternoon. I have scheduled days to write my devotionals - mid week for The Spur, Saturdays for the devo for Novel Journey. When I'm working on a longer ms., ie -the sequel to my first novel, which I've just finished - I work as much as I can, for as many hours as I can until the first draft is done. All of the above, and have been blessed with publication in all of them. I have a couple of special writer friends who are gracious enough to read my work and give me what feedback is needed. Couldn't do it without them. 4.Have you been to a writers' conference? If so, what was your experience? Yes. I've been to many - as participant, organizer and teacher. Love going to them, love being with other writers of like mind and faith. Perseverance is the word that comes immediately to mind. And the help of many friends along the way. It was a special joy to win the Best New Canadian Christian Author award and see my first novel, One Smooth Stone, published by Castle Quay Books. I hope to see a devotional book for writers completed and on the market, plus another novel well on its way. Merry Christmas, one and all and His abundant blessings in 2011! 1. I just sit down and write what I can for the moment. I been a panster lately for a number of reasons. 2. I write all of the genres you mentioned. Non fiction being my first love. 3. A started a writers group at the beginning of the year and love leading that. It has taught me so much and I love sharing what I have learned with others. I have a wonderful older couple that have found a new love - writing! They are so tickled with anything I have to teach them - such a joy. 4. I love writers conferences - have been to two, and as you know Im directing one in my city in March. My first conf. was so encouraging and fun. My dream is to go to a larger one someday. 5. Not published - plan to next year, God willing! 6. The comments I get from other writers and some editors concerning my writing keeps me going - as well as a committment to do what God has called me to do. 7. I hope to be published or very close to it. I also hope to be speaking more and planning our second conference! I want to have finished the second in a series of three historical novels and have a non fiction work about Supermoms published to use in conjuction with speaking to moms. Thank you all so much for your comments. It's interesting to see how similar our journeys are, but unique as well. I'd love to sit down with a cup of tea in each of your writing spaces and chat. This, I guess, is the next best thing. I look forward to a new year of getting even better acquainted. Till then, have a wonderful, blessed Christmas! 1.As a reader of fiction, what's your favorite genre(s)? I don't have a favorite, unless there's a genre dedicated to "books that make you sad and hollow when you are finished because you weren't yet ready to let go of the characters." 2.How do you select the books you read? Recommendations from friends, primarily, but I have to admit that I am a sucker for good packaging and a great jacket blurb. 3.Are you in a book club? Yes...and we read everything under the sun. 4.Have you ever thought about writing? If so, what keeps you from starting? Yes...every day. I write on a smaller scale, but as to a novel--it just seems like there's not a great way to segment my life so that I can find time to indulge my inner writer and still be a coherent mother and wife. :) I am hoping when both children are in school it will afford me writing time. 5.Do you purchase books, borrow them, share them with others? Yes, yes, yes. I have been known to buy multiple copies of books I love and give them away. 6.What brings you to NovelMatters? 7.What kind of book do you think that is written from a Christian point of view is most likely to have an impact on a nonbeliever? Great writing that is honest, where the Christian point of view is organic in the nature of the characters and not forced; a book that is beyond being 'labeled' and is simply an amazing book. 1. My favorite genre is mystery / suspense. 2. I select books based on summaries (back/flaps), reviews (I am a librarian), authors I have read and enjoyed, and recomendations from friends. 3. I am in a book club and that does widen my reading as we read a variety of genres. 4. I tried writing when I was a teen. I am boring! You keep doing the writing and I will keep reading. 5. I borrow from the public library, from friends and then purchase (as an avid and fast reader I can't afford to support my book habit through purchasing). I do pass along many books, although I am particular about lending those titles I purchase to add to my collection as I want them back and in pristine condition. 6. I came to NovelMatters through SheReads. While I am not able to write, I have friends who are, and I enjoy the variety of thoughts on this blog. 7. The kind of Christian book that will have the most inpact on a nonbeliever is one that is well written - well-developed characters, believable plot, etc. - but with faith deeply integrated. Some "Christian" books have a surface dab where faith doesn't seem to impact the life beyond maybe a prayer offered instead of a phone call to a friend. Books that have honest struggles with belief as well as an accurate representation of the deep change as we surrender to God are the kind that have the most impact. Any novel that is written soley from the perspective of 'preaching' will not succeed. I have had a nonChristian friend return a borrowed novel saying that the faith elements seemed tacked on and not integral to the characters. The same friend enjoys others where the characters live out an authentic faith (while solving mysteries, of course) and waits for me to buy the sequels. 1.What are your writing habits? They've been sporadic, when I can find time, but I made significant strides this past year in becoming more consistent and deliberate about writing on a regular basis. I do my writing mostly at night, after work and after the family is in bed. 2.What do you write? Romance and women's fiction, both inspirational. I also freelance, writing articles for one of the content creation sites as well as a regional magazine. I was contracted to write an article for the 2012 Writers Market, an opportunity I'm really excited about. 3.Do you have a critique partner? A writers' group? No. I've been part of several critique groups, but they always seem to fizzle and disband, usually because the writers are on such different pages with regard to how frequently and what they write. I'll be looking for a critique partner/group in 2011. 4.Have you been to a writers' conference? If so, what was your experience? Not yet, but I'm really hopeful I'll be able to plan and make at least one in 2011. 5. If you're published, share a little how you got there. I'm published in short story format. I thought this would be a good place to start. I joined a writer's group and gained info to help me submit to confessions magazines, for which I wrote sweet romances. I also answered an anthology call, which led to another publication opportunity. Finally, I had a short story accepted by an e-publisher through a traditional query process. 6.If you're not yet published, what most encourages you to keep going? I enjoy writing and I believe I will be published in novel length. 7.Where do you hope to be in your writing journey a year from now? A year from now, I expect to have two more finished stories, one polished and queried, and the other in revision. I would love to be contracted. Melissa, I love your answer to what genre you like to read. I'm right there with you! Anonymous, thank you for visiting and commenting on our blog. We're grateful for the connection between SheReads and NovelMatters. Your answer to question 7 is how all of us here feel about Christian fiction, and what we strive for. Please visit us often. I write from 8-12. I try to see it as a job. Unfortunately, a little Facebook gets in the way, so I don't always get 4 hours of writing in. I write fiction...short stories for my blog. I'm working on a novel, and write devotionals or commentaries for my blog as I get inspired. I live on a remote island in Alaska, so I'm working on starting a writers' group. In the meantime, I have a coterie of reading friends. I did go to an ACW conference. It was close to where I lived at the time, but the publishers there weren't geared to my kind of work. I enjoyed myself and learned a lot, but I'd like to find a conference geared toward publishers/agents who are looking for my kind of work the next time. I have a short story published in "Heart-Stirring Stories of Romance." We celebrated on the arrival of the notice, and on the arrival of my copy of the book. The celebrating cost more than the $20 I earned. :) It was a story that just popped into mind, and an hour of computer time later, there it was, ready to edit. I am motivated by how close I am to submitting so many of my projects. In a year, I hope to have a completed novel being shopped around. I hope to find an agent who truly believes in me. I would also like to echo the comment about wanting to emulate the classics that were not written as Christian books. 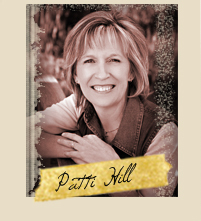 I want to write books that are Christian because of who Christ is, not because I wrote a Christian book. I so desire to write something of enduring and etermal value. Megan, which writers' conference are you going to next year? Hi Karen, been wondering where you've been, nice to hear from you! 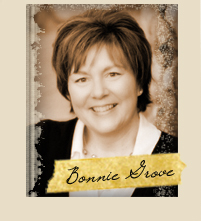 I'm off to the Sierra Foothills Christian Writers Conference, in Sacramento-ish. Very excited (and stretched waaaaaay out of my comfort zone...but that's God for you).